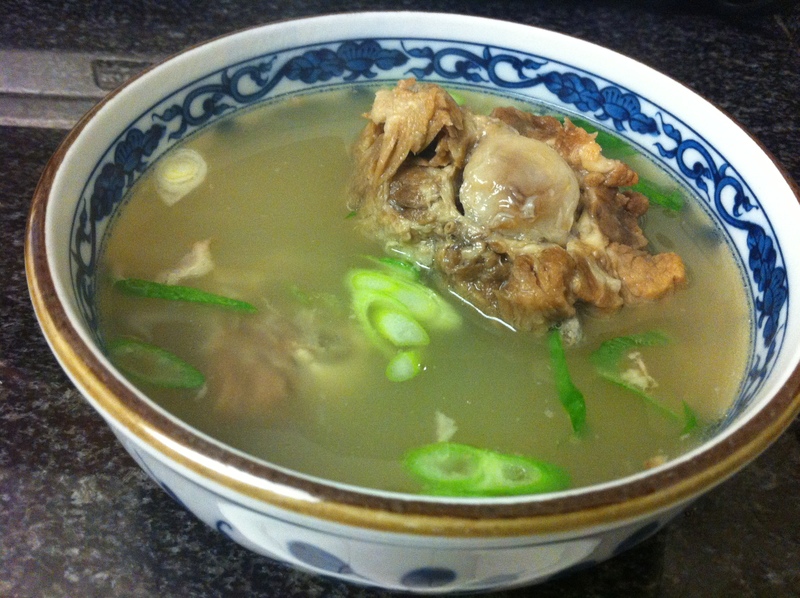 One of my favorite soups to make and serve is Kkorigom-tang, which is a Korean oxtail soup. Amongst many of the Korean bone marrow based soups such as sullung-tang and sagol-guk, this is the easiest one to make and the most sumptuous and versatile soup in my opinion. That is probably why oxtail is very expensive in Korea. Yes, it does take several hours to stew, but once done, I can pop the leftovers in the freezer and heat it up on a lazy Sunday afternoon for a quick and easy lunch. Even better, I make ttuckmandoo-guk with this soup simply by adding rice cakes and dumplings, which results in a dish that tastes better than any other ttuckmandoo-guk according to my husband. The secret to my kkorigom-tang is that I do not add any spices such as garlic or onion when cooking but stew it for at least 10 hours. 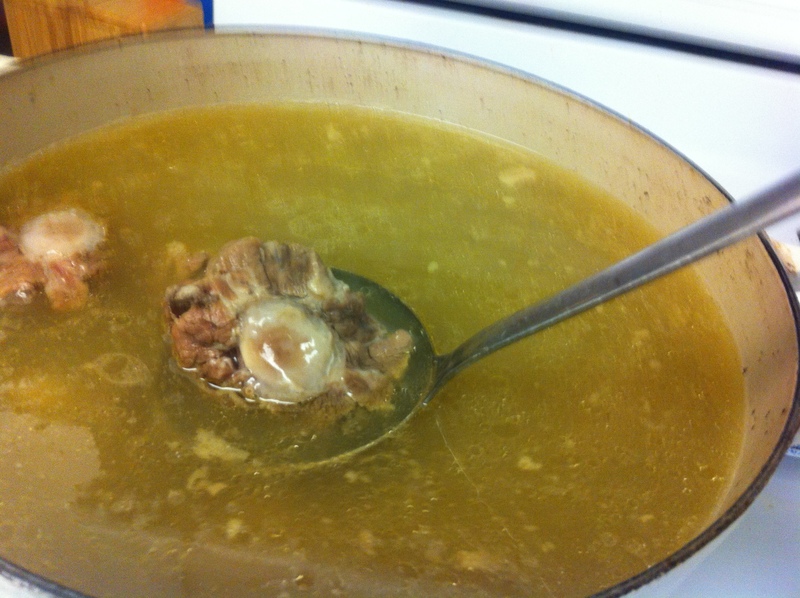 Place the oxtails in a large bowl and soak it in cold water for at least 30 minutes to an hour to take out the blood. You can change the water once or twice to speed up the process. Rinse the oxtails with cold water. 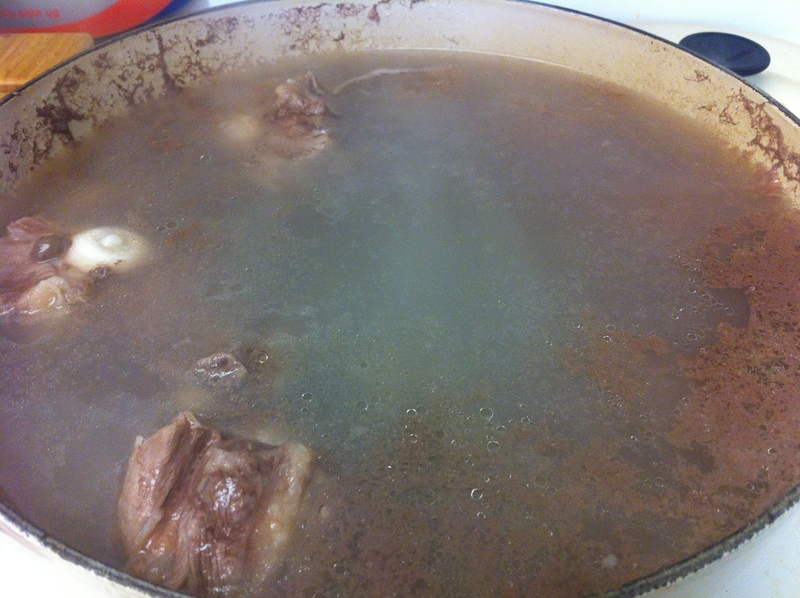 Put the oxtails in the largest pot you have and fill the pot with water. Bring it to a boil for about 5 minutes. You will find that the water turns murky from the remaining blood in the oxtails. 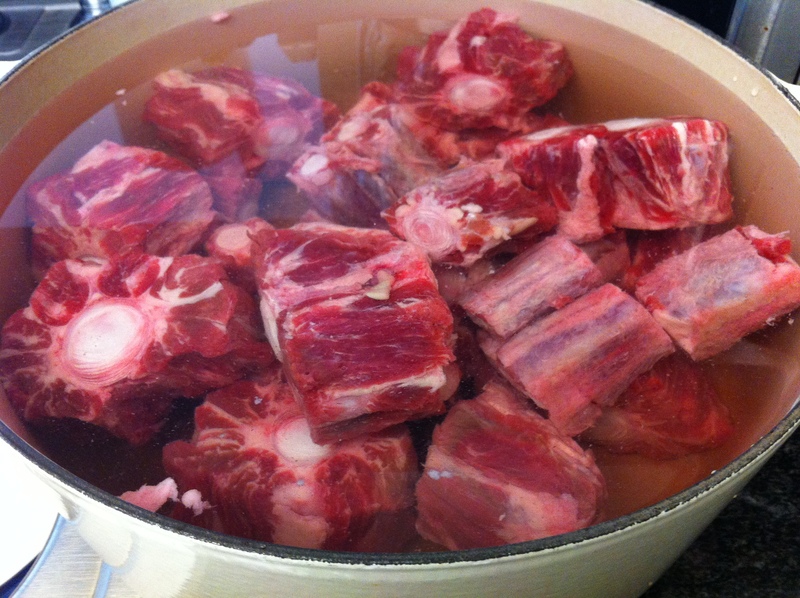 Throw out the water, strain the oxtails and rinse it with cold water. 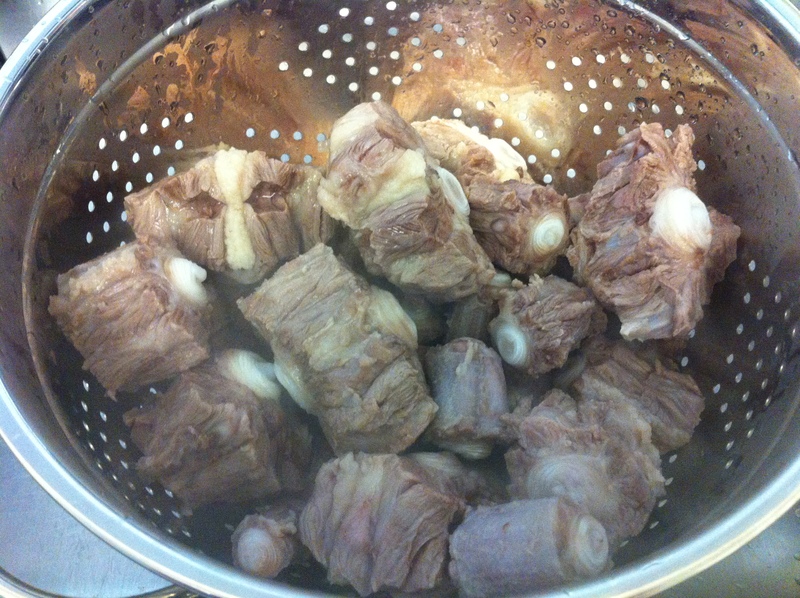 Repeat the process of placing the oxtails in the pot, filling it up with water and bringing it to a boil. 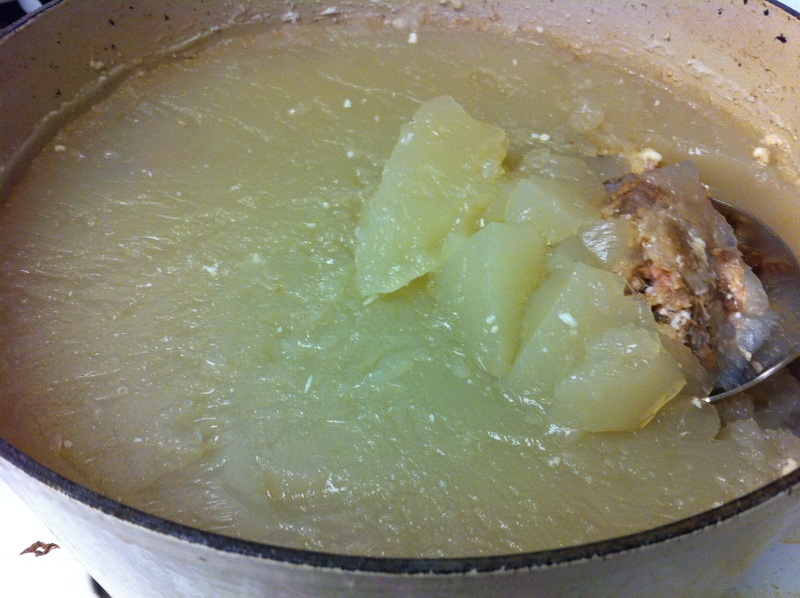 Once it comes up to a boil, lower the heat to a simmer and cook it for at least 10 hours and up to 14 hours. After the soup is done, turn off the heat and let it cool. Place it in the refrigerator overnight so that the fat rises to the surface and hardens. Skim off the fat on top. 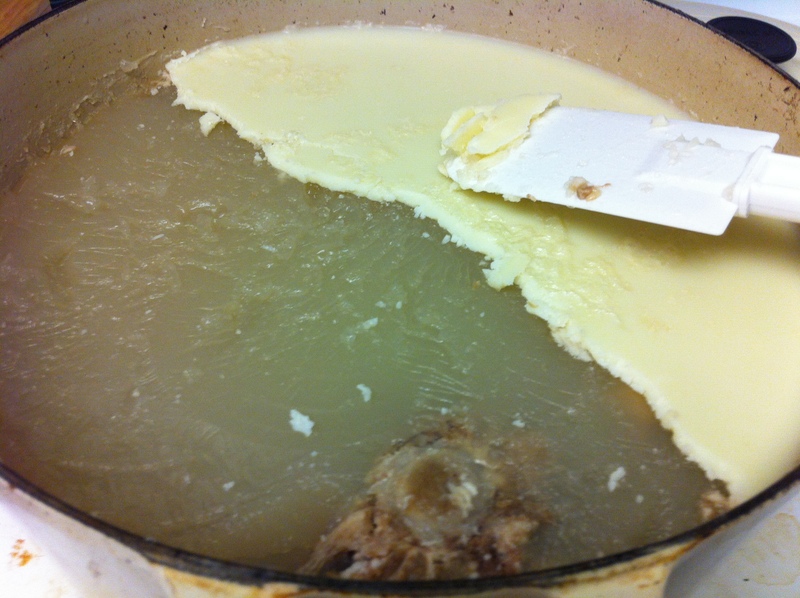 Underneath you will find a beautiful cream colored soup that has a texture almost like jello. Heat up the amount you are going to serve. 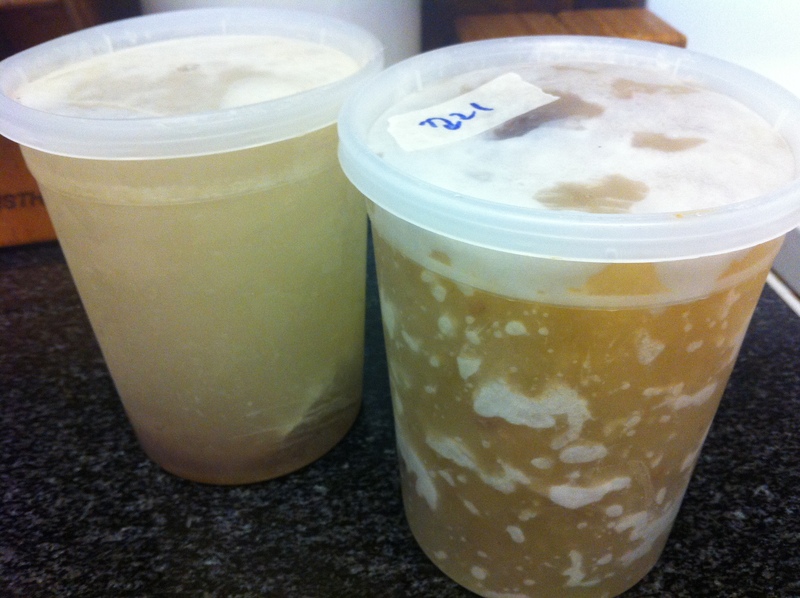 Place the remainder in plastic containers and put it in the freezer. This lasts months frozen. Garnish with thinly chopped scallions in a bowl and serve it with rice. I usually do not add salt when I serve so each individual can add as much salt and pepper to their taste, but you may add a pinch of salt and pepper if you prefer. This entry was posted in Good for breakfast, Good for dinner, Good for lunch, Meat/Chicken, Soup/Stew (국/탕/찌게) and tagged Oxtail by gangnamkitchen. Bookmark the permalink.